Yep. Snickerdoodle flavored coffee. 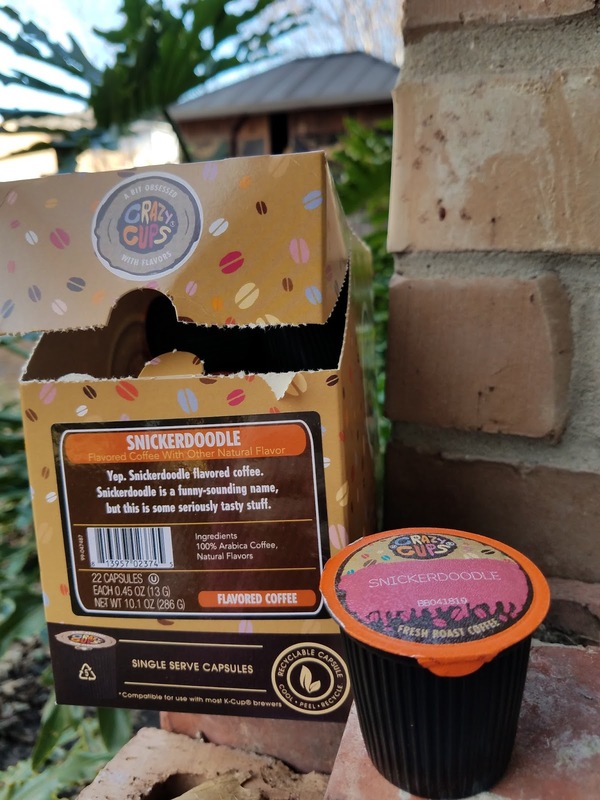 Snickerdoodle is a funny-sounding name, but this is some seriously tasty stuff. We love snickerdoodle cookies and this flavor really lived up to the name. This coffee is full of cinnamon-y, buttery goodness with a hint of vanilla and is a great way to wake up in the morning. Another hit from Crazy Cups!